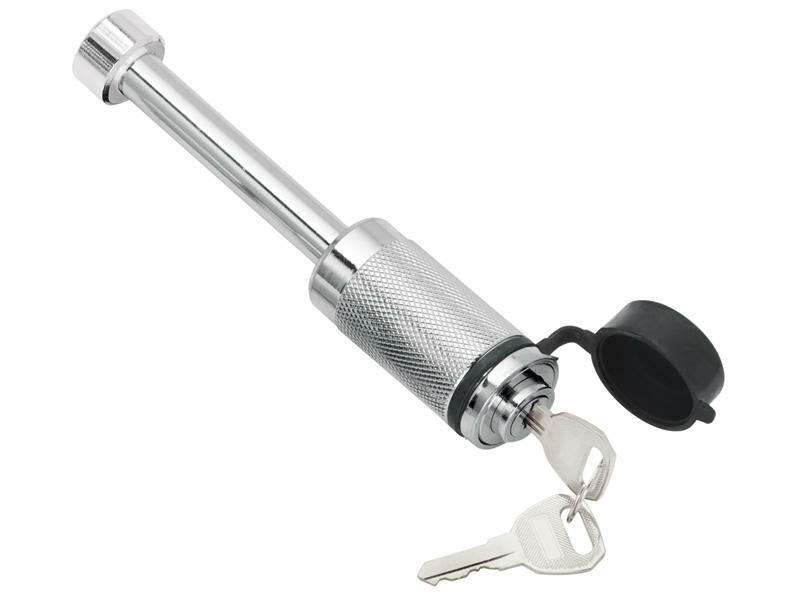 Locking Hitch Pin features chrome plated dogbone-style design and solid metal lock mechanism with 2 keys. 5/8 inch diameter pin fits all 2 inch class III & IV receivers and 2-1/2 inch class V receivers. Vinyl cover protect locking mechanism.